Kitchen/Dining area: Extended spacious room with attractive tiled floor. There is a cream fitted kitchen at one end and a spacious dining area at the other. There is a built-in electric oven and microwave oven, halogen hob, integral dishwasher and fridge/freezer. The table seats up to 8 and there are doors to the patio and garden. Utility/Cloakroom: washing machine, tumble dryer, sink and loo. 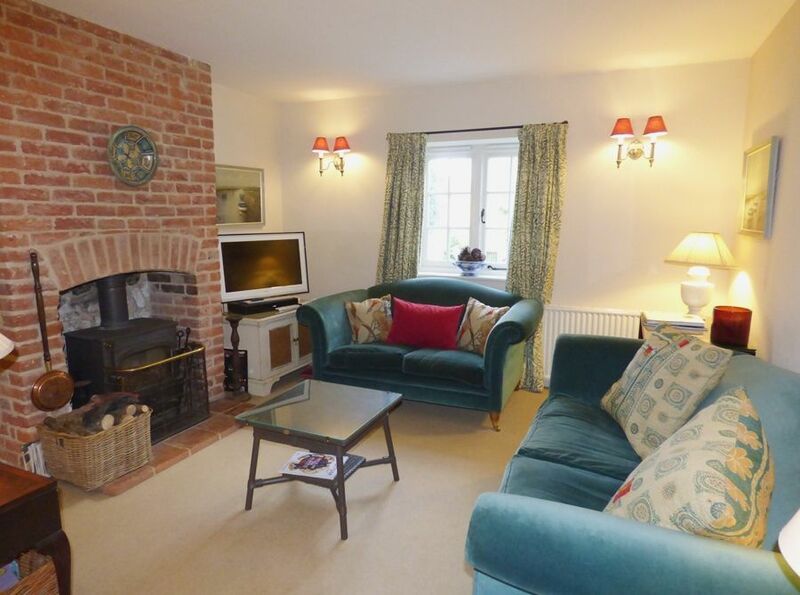 Sitting Room: Attractive and comfortable room with brick fireplace housing wood-burner, 2 sofas, freeview digital TV, DVD, with a selection of games, books and DVDs. Door to stairs. Bedroom One: King-size bed, bedside tables and lamps, chest of drawers, wardrobe, TV. En-suite: Shower, loo and hand basin. Bedroom Two: King-size bed, tables and lamps, wardrobe, tallboy, TV. Bedroom Three: Twin beds (may be made into double) bedside table and lamp, tallboy. 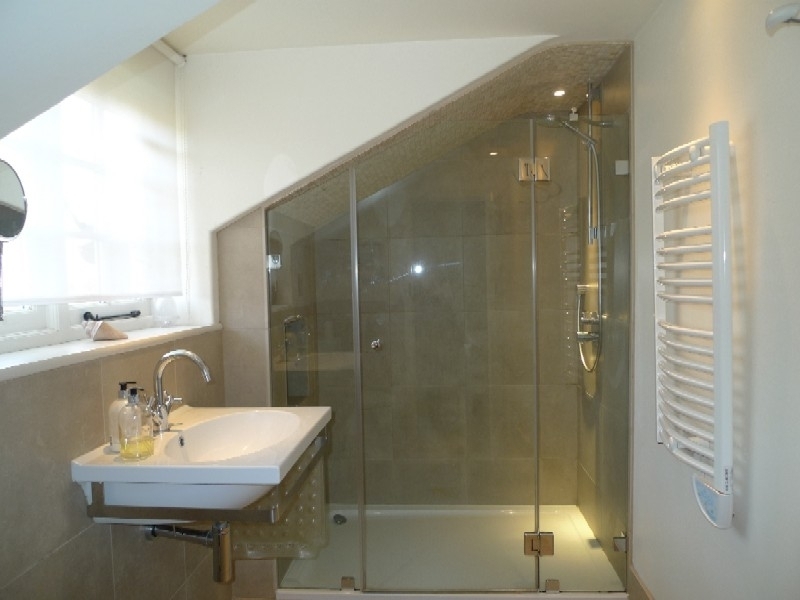 Bathroom: Bath with shower over, hand basin, towel rail and loo. Gate to shingled drive and parking for 2 cars. There is a large enclosed lawned garden with patio, garden furniture and barbecue. There is a wooden children's tree-house which may be used at guests' own risk. Lovely home from home property. Since our last stay the owners have added a few nice touches plus renewing some of the exiting features which have really made a difference. Charming interior and delightful garden!